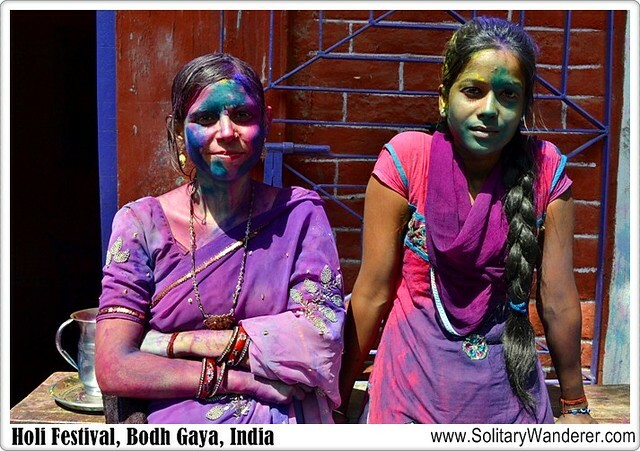 A year ago, I celebrated Holi, the festival of lights, in India. 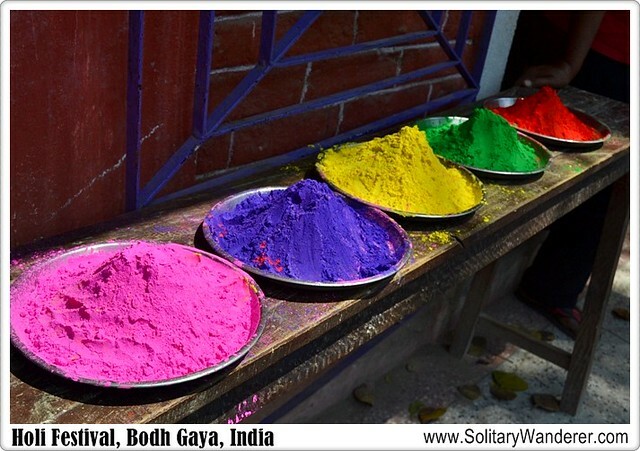 I was in Varanasi on the day of the festival itself, but due to what happened there (read Of Eve Teasing and Solo Travel in India), I had always preferred to remember Holi as I celebrated it in Bodh Gaya: among local friends who showed me what the festival really meant. 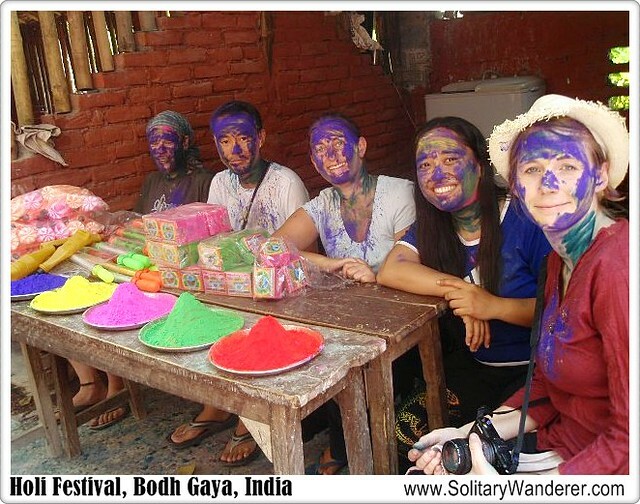 Bodh Gaya was the second stop in my three-week solo backpacking trip in India last year. It was a short stay but one that I really wanted to take for cultural and religious reasons. The holiest place on Earth for Buddhists, Bodh Gaya is best known as the place where Prince Gautama Siddhartha was said to have gained enlightenment. Everyone who follows the faith goes to the Mahabodhi Temple and sits and meditates under the bodhi tree as Prince Siddhartha had done. There are many hostels and other sorts of accommodations in Bodh Gaya, primarily to accommodate the tourists on pilgrimage. I chose to stay at the Bowl of Compassion, a free school for children in the community slash guesthouse founded by Michael Saatkamp, a fellow Couchsurfing member from Germany, and Murari Singh Kalyan, a local businessman who also serves as the guesthouse manager. With money donated by friends from Germany, Michael and Murari established the organization seven years ago–first as a soup kitchen feeding kids and gradually offering classes to up to 90 children from the community. There were other guests staying at the hostel when I was there–one Japanese, three Germans, and one Swedish. We were quite excited to celebrate Holi with the kids, knowing the importance of the event for them. There were no classes that day, and we could see them coming in, excited for the event they knew they were celebrating in advance. Quite a few approached us, practiced their English, and then as quickly left to play with friends. Everywhere, you could feel their excitement for Holi. In the meantime, a few kids and the teachers prepared two sets of colors: one in powder form, and another melted in tubs full of water. We were to use the powder first, making sure that all kids (and us, of course) got our share, before the colored water was used. When you’re anywhere where Holi is celebrated (e.g., India, Nepal, Singapore, Malaysia), make sure to wear old clothes. It will definitely get wet, and good luck with washing it later on! 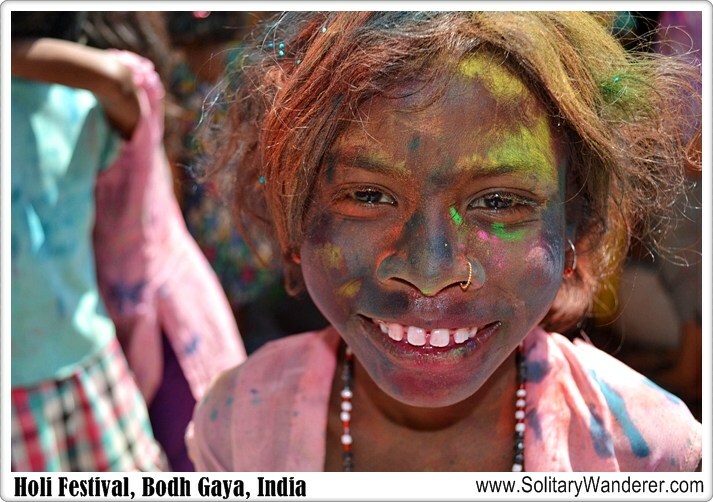 In Bodh Gaya, we started by smearing every single children with Holi colors on their faces. Once the go signal was given however, it became a free-for-all, colored powder and colored water flying all over the place. We danced, sang, and goofed around with everybody. No one was exempt; manager, staff, teachers (photo below), guests, and kids–everyone sported the yellows and greens and blues of the powder, united in the celebration that was also called the festival of love. Holi is usually celebrated in the open streets (like what we did in Varanasi), and everyone will smear or drench each other with colored powder or colored water. If you’re out during Holi, expect to get wet and drenched in color. In some places, they even use water guns or water balloons! In Bodh Gaya, however, we confined ourselves to the school compound together with the staff of the guesthouse and the schoolteachers who later served snacks to the kids. 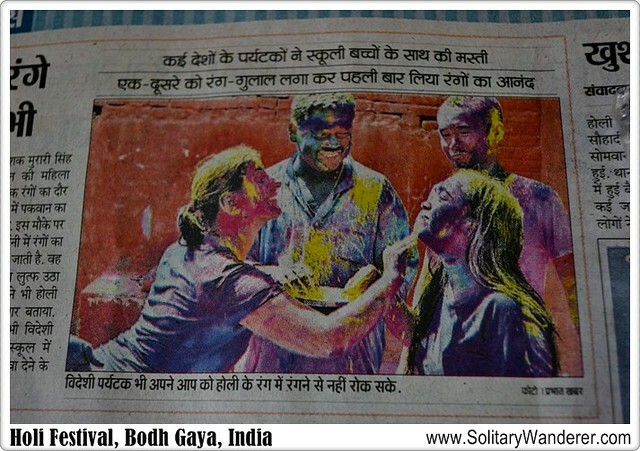 A few TV and newspaper journalists came afterwards and interviewed us guests about our experience of Holi, publishing our picture in the dailies a day later. Talk about having our 15 minutes of fame! Holi Festival signifies the end of winter and the arrival of spring, a time for meeting and bonding with others–families, friends, and even strangers. Even though I only stayed a couple of days in Bodh Gaya, I felt that no matter how short my stay there was, the images of children and newly-met friends will always be with me. For me, they will always be the symbol of Holi, the festival of colors and of love. 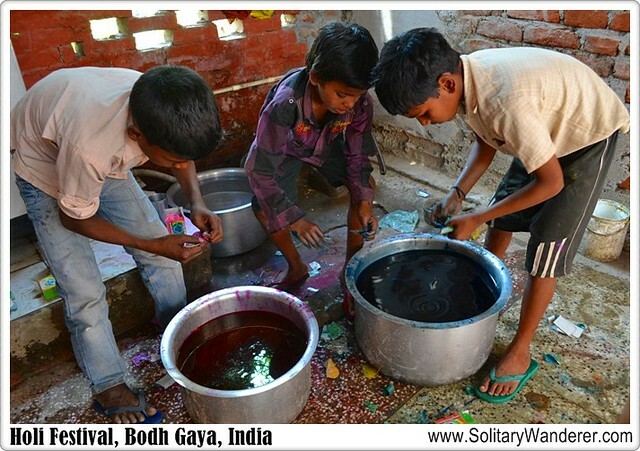 If you’re going to Bodh Gaya, do stay at the Bowl of Compassion to support the organization’s mission of giving free education to children in the community! 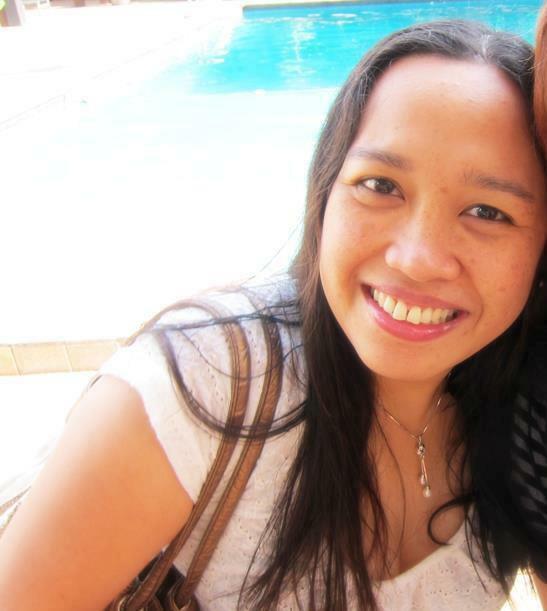 @ Marisol: Thanks for your comment. I agree, Varanasi was a dark time in my years of solo travel. 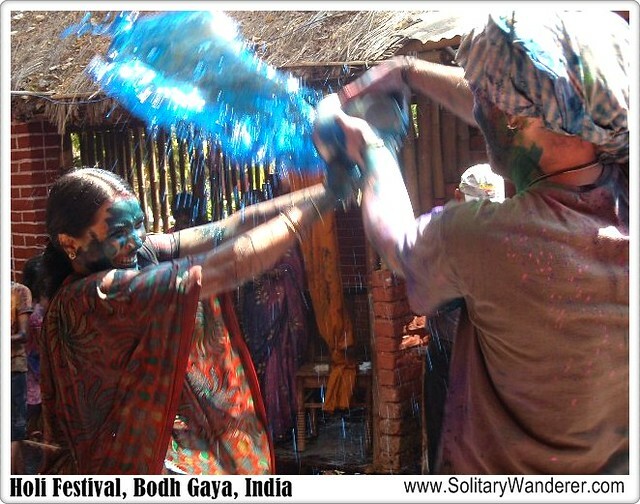 But at least, I had Bodh Gaya and knew how Holi should be celebrated. Great Indian festival, enjoy and colorful. i love holi and enjoy every time with colors. HI Aleah, I’m so so glad that you had a very pleasant and fun Holi experience this time around. 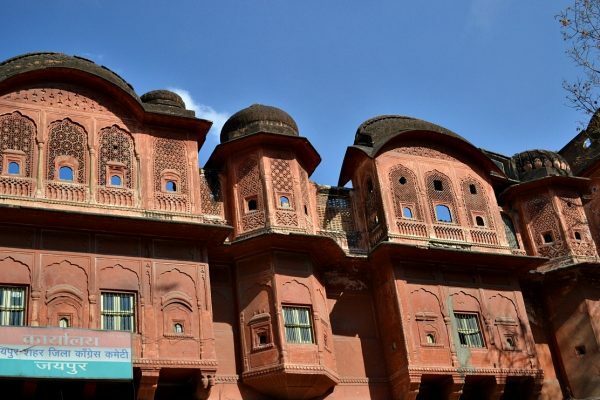 Your Varanasi experience still left a bad bad taste on my mouth. I think this is what Holi celebration should be – a wholesome fun. You and the kids look like you had a great time. Hey, that was awesome that your photo was published on paper! I like the idea of the Bowl of Compassion. Kudos to Michael and Murari. @ Freya: Some colors do take time to wash off. Too bad you were unlucky to get that haha At least it’s memorable huh? @ Photo Cache: Thanks for recognizing me hahaha You should observe it one of these days. It’s a great festival! @ Bianca: Yeah, it’s why I’m also promoting them. The founders are doing good work. Beautiful photos. I like that your stay at the Bowl of Compassion also helps young kids get an education. that was fun. i always want to participate in holi festivals here, but i tend to forget every year. @ Shalu: Too bad we didn’t get to meet when I was there, Shalu. Hopefully next time! Great post on Holi. 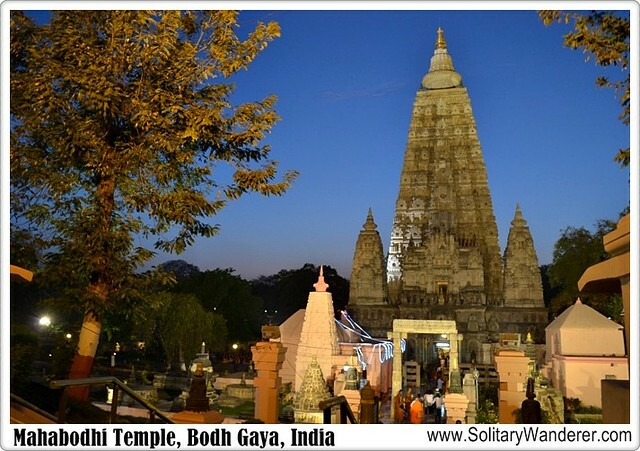 Bodh Gaya is in my backyard and would have loved to meet the travellers. Lovely pictures. @ Mike: I’m pretty sure you would love Holi in India, Mike. Too bad though you can’t take Phoenix! @ Dana: I didn’t take notice of the festivals before but I do that now whenever I travel. It’s a great way to understand the culture of the place I’m visiting. This definitely looks like a fun event and a great way to connect with the locals. 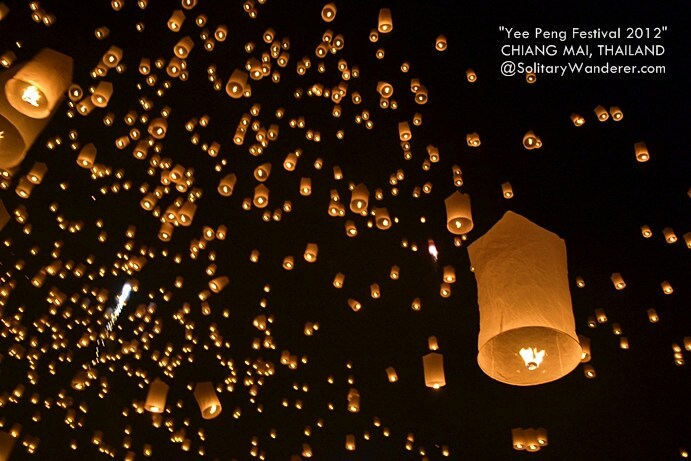 I’ll have to consider planning more of my holidays around local holidays/events like this! 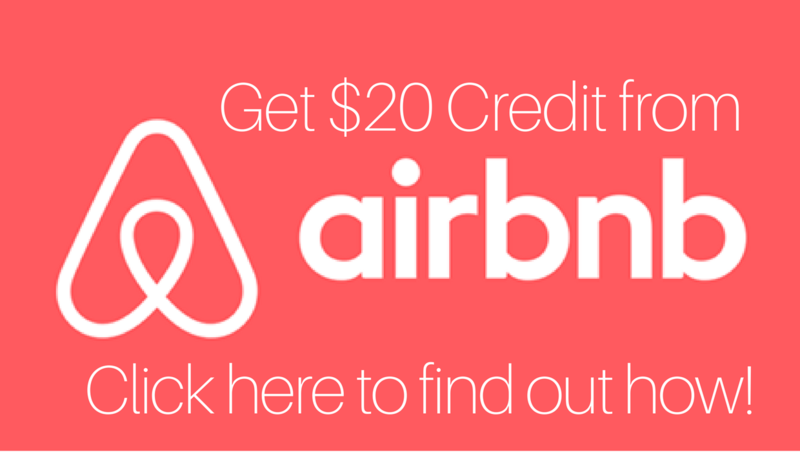 @ Jay: Multiply your experience in MOA 100 times and you’ll see what it’s like in India. Hope you get there someday! Nice! Sa Mall of Asia ko pa lang naeexperience ang Holi Festival and I’ve really enjoyed it. How much more kaya pag sa India or Nepal na? 😀 Thanks for sharing! Grabe, ang bilis, 1 year na un? ?